What Are We Using For 5th Grade? My daughter is in the 5th grade this year. This is my current plan for next year. As always, it is a flexible plan that we will adapt as needed throughout the year. I will also be supplementing with various Review Crew products. 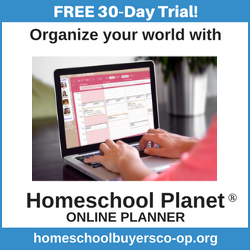 Reading: We had the chance to review Home School Navigator last year and my daughter really enjoyed it. She requested to use it as her primary reading program for this year. I love that she can complete in fairly independently and feel like it is a good fit for this year. Writing: Writing for my daughter will be a bit of a mix. She will complete some of the writing included in Home School Navigator as well as some real life projects such as pen pal letters, Junior Historians projects, and 4-H Project Record books. Spelling: All About Spelling We struggled for years to find a spelling program that worked. When I used traditional lists he could often spell the words correctly for the test, but none of it seemed to be translating into spelling correctly in his writing. I tried non traditional curriculum, word walls, and copy work but nothing was improving his spelling. All About Spelling has been such as blessing as we’ve used it over the last 3 years and I have seen steady improvement his his spelling. One thing we added last semester that made managing the program a lot easier is the All About Learning App which means that we can use the kindle instead of magnetic tiles. The magnetic tiles are a great option for many learners but our preschooler kept getting into them. Math: We started using Math For A Living Education last year and will continue this year. She actually requested that I go ahead and purchase the book this spring when she finished the fourth grade one and she is working in it a little bit here and there throughout the summer. She is excited to be moving ahead and feels like this program works well for her. Science: We will be finishing up both Apologia Physics and Chemistry and Apologia Anatomy. We did parts of both of those last year and will be finishing them up this year. Art: You Are An Artist Clubhouse Subscription I need to be honest and say that I’m not always (read never) the best at making sure art happens in our home school. At least I was not before I found a way to have art done for me in an easy relaxed way from the comfort of my home. We love these lessons because they are simple and easy to follow. She enjoyed the lessons and likes to use her pictures to send to grandparents and other family members. 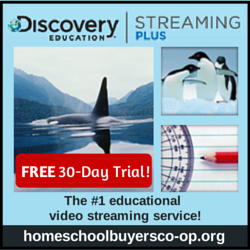 I like the subscription because there are lots of options for the whole family, but they also have a lot of great courses that you can purchase independently. Bible: For Bible we will be listening to the Daily Audio Bible App as a family during our morning basket time and working through the Bible Study Guide For All Ages as a family. In addition he will be going through the Sibling Challenge Journal by Not Consumed which includes Bible study on sibling relationships. History: We will be beginning our second cycle of Story of the World this year with Story of the World Volume 1. We are excited to be going back to Ancient History and looking forward to going deeper into our studies. I will also be supplementing Story of the World with some great games and resources from Home School in the Woods. I will be posting a chapter by chapter list of resources for Story of the World Volume 1 as soon as it is completed. Typing: My daughter went through Bytes of Learning UltraKey Online last semester and we saw a great deal of improvement in his typing speed and accuracy. She is looking forward to working through it again and trying to get even faster. In addition to these studies we will be completing our morning basket time and ‘Evening Education’ (more on this in a blog post next week) as a family. These times will include poetry, missionary studies, artist and composer studies, and read alouds. Once I have ‘finalized’ my morning basket plans for this year I’ll share what I have in the basket as a separate post. I would love to know what curriculum you are using this year. Are you still searching for that perfect fit or have you found something you love? FREE Fantasy and Fairytales StoryBuilders Pack from Write Shop! Previous Previous post: Healthy Mom Healthy Children and A Giveaway! Next Next post: What About Preschool? Looks like some very fun stuff coming up! Have a great year! Thank you, I hope you have a wonderful year as well. I like and have used many of your choices, one of which is All About Spelling — great program! This year, for the first time since 1990, I am planning nothing. The kids have all graduated, and we’re packing #3 off to college on Monday. I will be working to pare down our possessions (read “school books and supplies”) in ways to hopefully bring in money for college textbooks. Your plans sound great! I think you’re going to have a wonderful year. I like that your daughter found the Math that works for her. I never quite felt that with my Student #3. Wow, I can’t quite imagine the day when I have nothing to plan, bitter sweet I’m sure (my youngest is only about 6 months old so I’ve got some time before I get to that point.) I hope college goes wonderfully for them and yes All About Spelling is truly one of those programs that was a game changer for our family. I love how you have everything laid out…we will also be using Home School Navigator. My son is working through Level Red and loving it! So glad to learn about new programs, too. I’m so glad your son is also enjoying Home School Navigator.